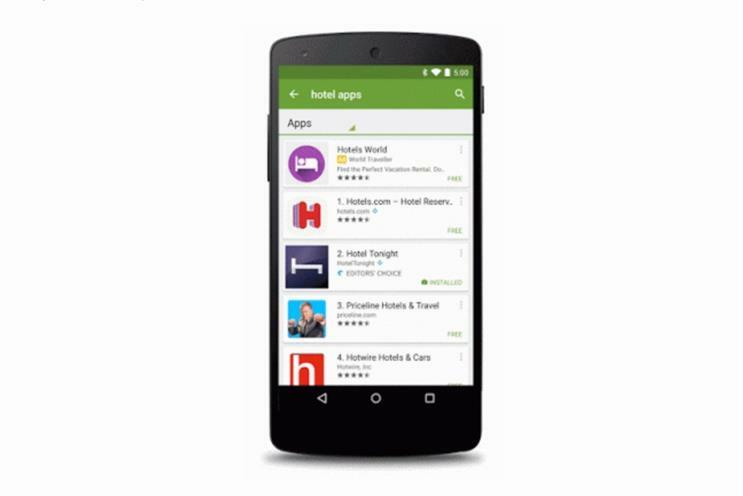 Google has signed up a number of its existing web search advertisers to trial sponsored search results on its Google Play app store. Google said that sponsorship deals would enable advertisers to reach more than one billion Android users across more than 190 countries. In the next few weeks, Google Play will host a handful of advertisers driving awareness of their apps via sponsored app searches. The search giant has signed up a number of advertisers that are already running ads on Google’s search engine. In a blog post, Michael Siliski, Google Play’s product management director, said: "We’ll have more to share in the coming months about the expansion of this program as we look at the results and feedback." Google claims that on the basis of evidence gleaned from the 100bn-pus searches every month on Google.com, it has established that search ads placed adjacent to search results can "significantly improve content discovery for users and advertisers, both large and small". It hopes that the findings will translate to Google Play. Siliski added: "We believe search ads will be a useful addition to Google Play for users and developers alike, and we hope this will bring even more success to our developer community."